the owner and lead artist of In Your Face Makeup Art! We have a lot of fun here making ladies look and feel beautiful for their special occasions – and I have to say, it’s a pretty awesome job! When I set out to start my own business, a couple of things were very important to me – to offer quality artistry to my clients with an attention to detail that demonstrates my artist background and to provide a level of experience and professionalism that reflects my training, certifications and discipline in this art form. In a state like Virginia, which does not license for or regulate makeup artistry, it was important to me to maintain the same high sanitation and procedure standards that I was used to maintaining while I worked for the global brand MAC Cosmetics. Even the part-time artists on my team have ardently trained and adhered to these same certification requirements. The result is a company and team that I am proud of, producing consistent results for our clients and setting the standard for truly professional, individualized client experiences. In Your Face Makeup Art (a cute nod to my loyalty to MAC, which stands for “Makeup Art” Cosmetics) is an artistry company based in Lynchburg, providing makeup services to the area for over 3 years now. 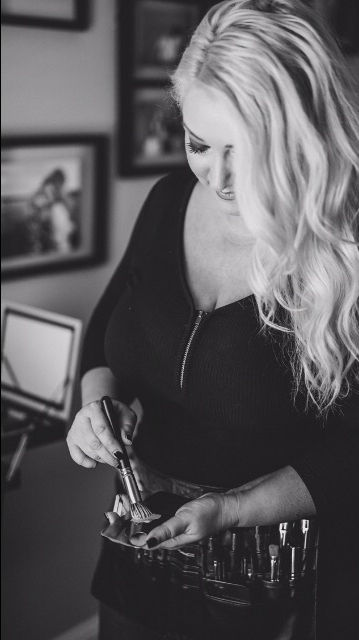 We specialize in on-location makeup for bridal parties, and most weekends we can be found working at the best wedding venues and salons in the area, making convenience for our clients one of our top priorities. In addition to weddings, we also do makeup for anything else you can think of! We are happy to accommodate small groups and individual sessions at our lovely studio, which is conveniently located in Wyndhurst. If a makeup lesson interests you, our hands-on classes are a lot of fun! For all our appointments, professional, artist-quality products are used to create a flawless look that lasts all day and photographs beautifully.